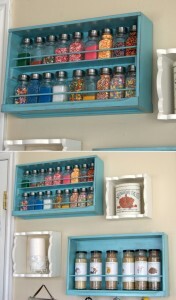 Nancy Gray shares a great way to recycle old drawers where she has used them to store her collection of sprinkles and spices. 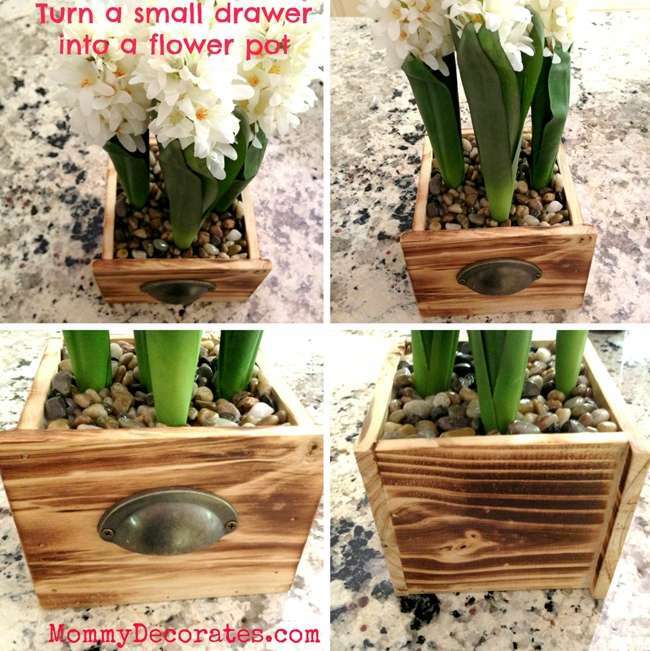 Serra at Mommy Decorates shares a wonderful way to recycle a small drawer in the form of a flower box. This one though being ready-made, Serra says it is very easy to make one yourself too. 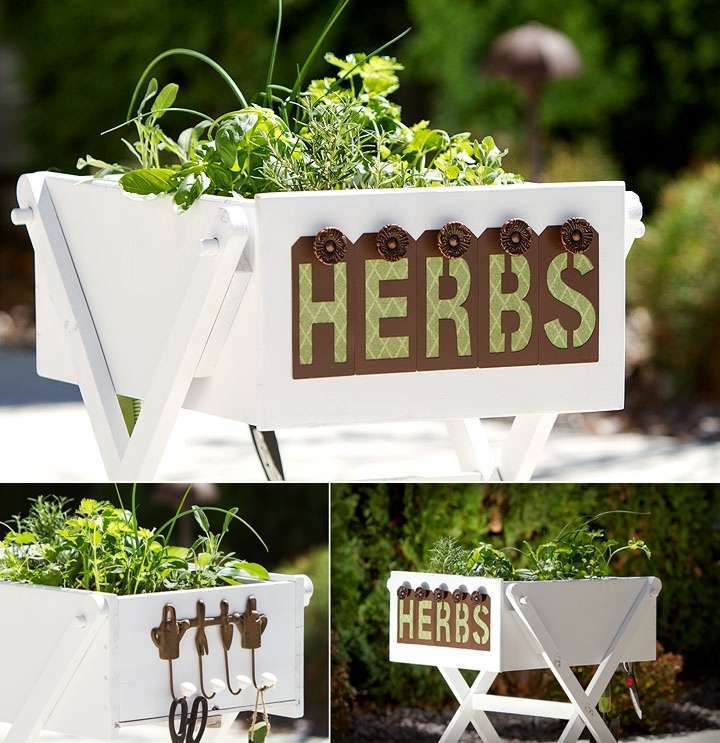 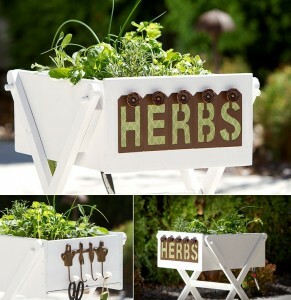 Mary Beth Sligar via Southern Idaho Living turned a drawer into a herb garden where she also added functionality to this already amazing herb garden in the form of hooks to dry the herbs and hang cutting and gardening supplies. 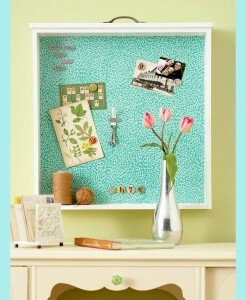 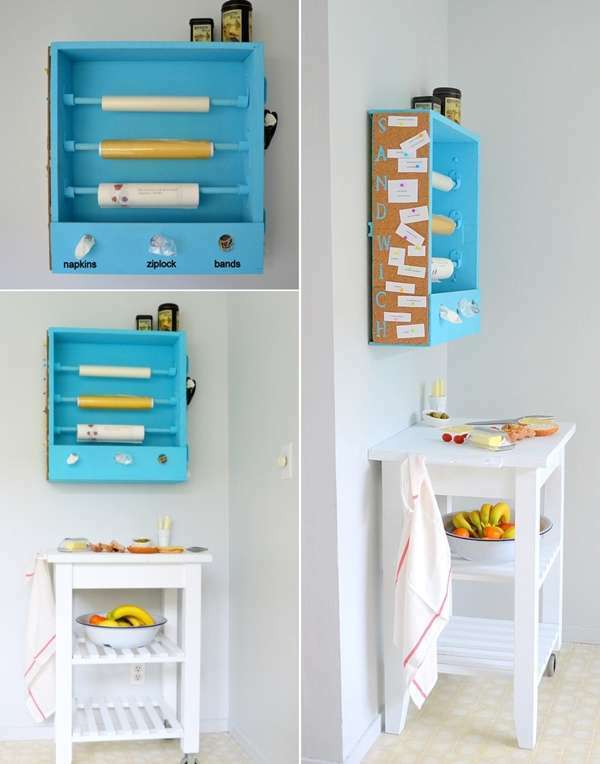 Better Homes and Gardens tells us a clever way to salvage an old dresser drawer and turn it into an inspiring bulletin board. 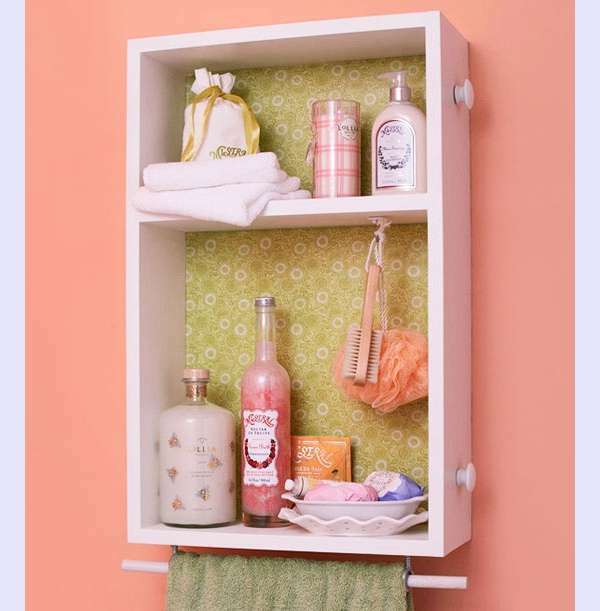 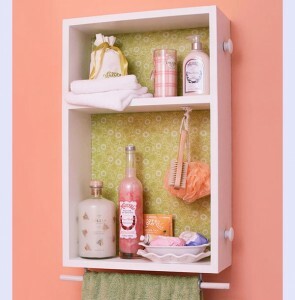 Once again here is another smashing idea from Better Homes and Gardens where an old drawer got a new and chic life in the form of a medicine cabinet. 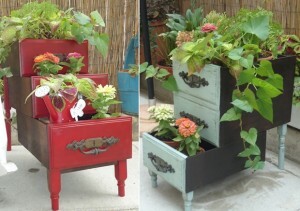 Sweet Pea Garden Collection blog has rescued drawers of old desks and given them a new life as tiered planters. Becky@Beyond The Picket Fence created a beauteous ottoman for putting your feet on, and unwind after a tiring day. 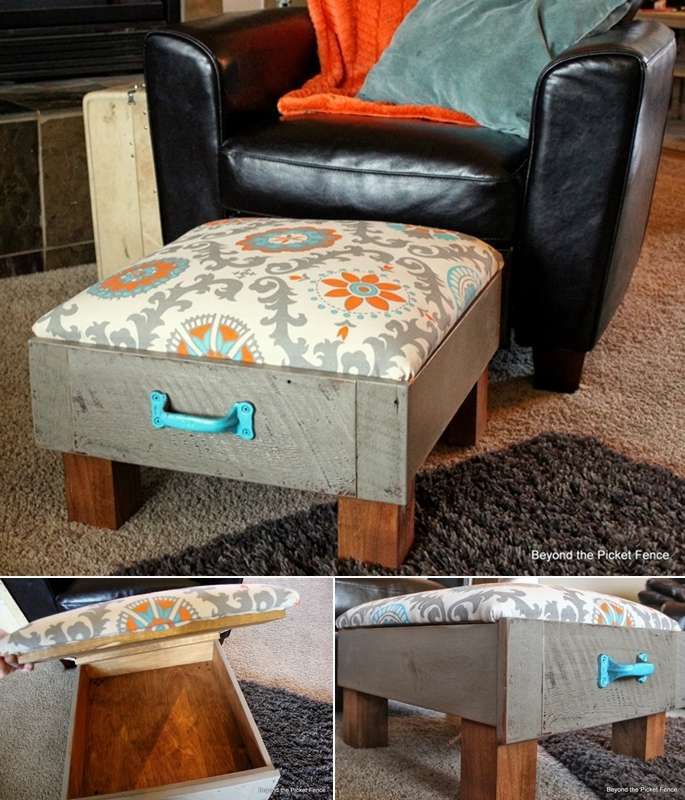 This ottoman has storage too that is an icing on the cake. Creative Becky from Beyond The Picket Fence has yet another project to share where she has created a shelving unit for her pre-teen daughter from old drawers. 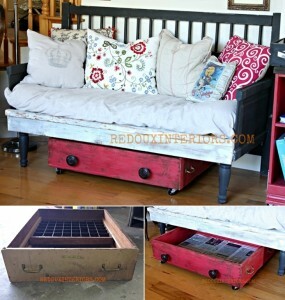 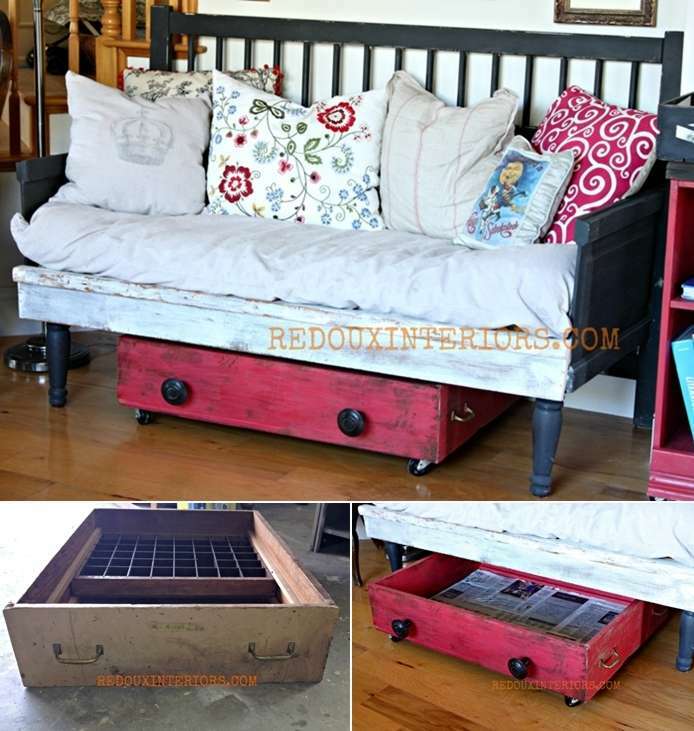 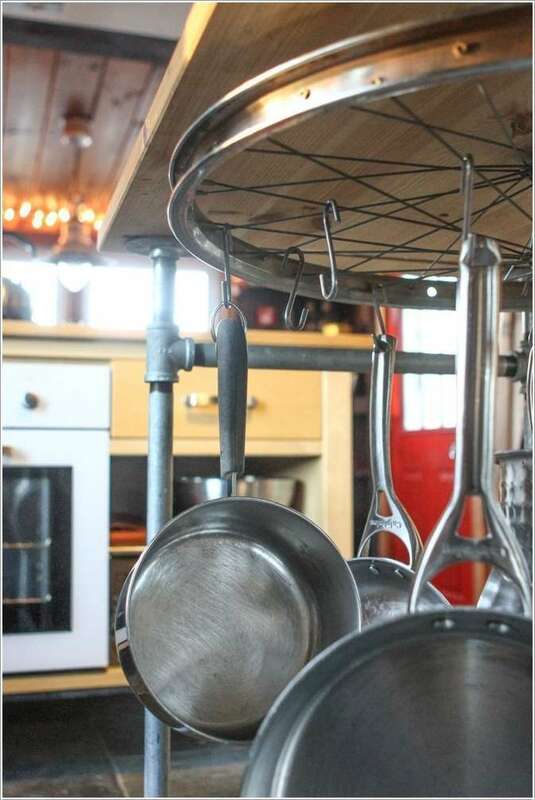 Redoux Interiors blog has got a wonderful solution for that wild and ever increasing pile of shoes in your home. 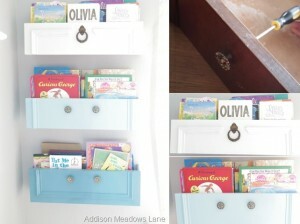 Simply re-purpose a drawer for shoe storage and tuck it in a space like underneath a sofa. 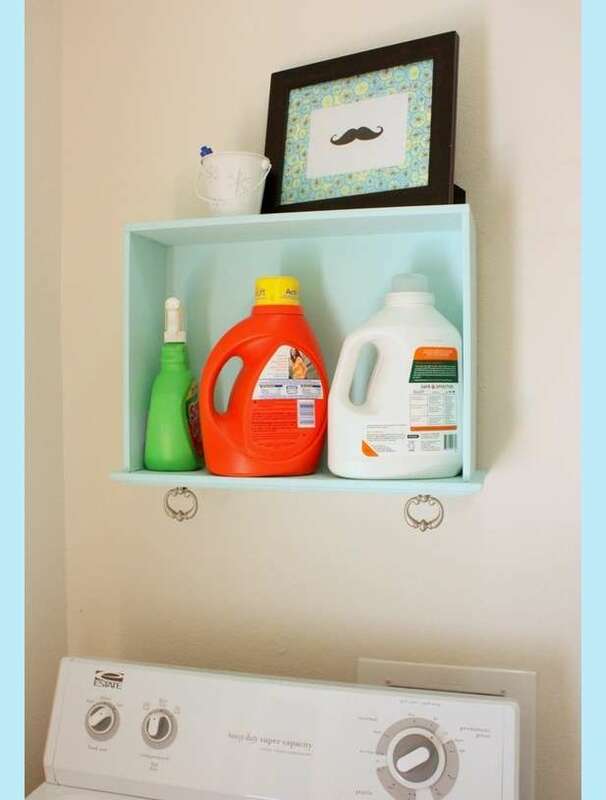 Melanie at Curbly shares the refurbishment of her laundry room where one thing that grabs attention is the wall storage shelf she has made from an old drawer. 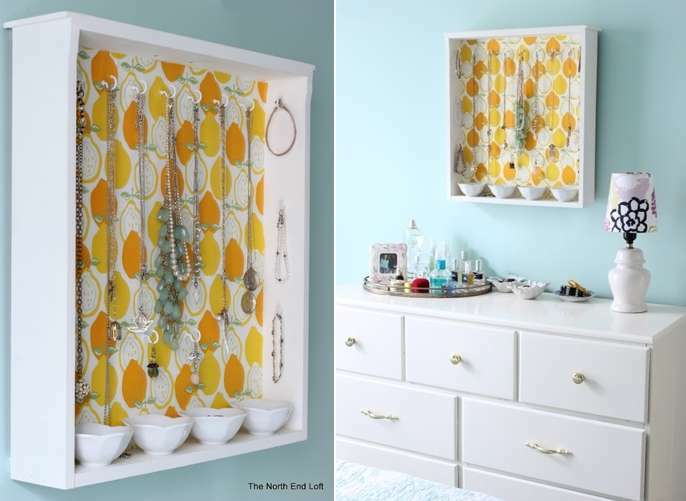 Laurel Stephens at The North End Loft added a wonderful jewelry organizer to her daughter’s room that she has made from a salvaged drawer of a desk. Miki Steiner at Curbly has turned a drawer into something probably no one can think of and that is a sandwich station. 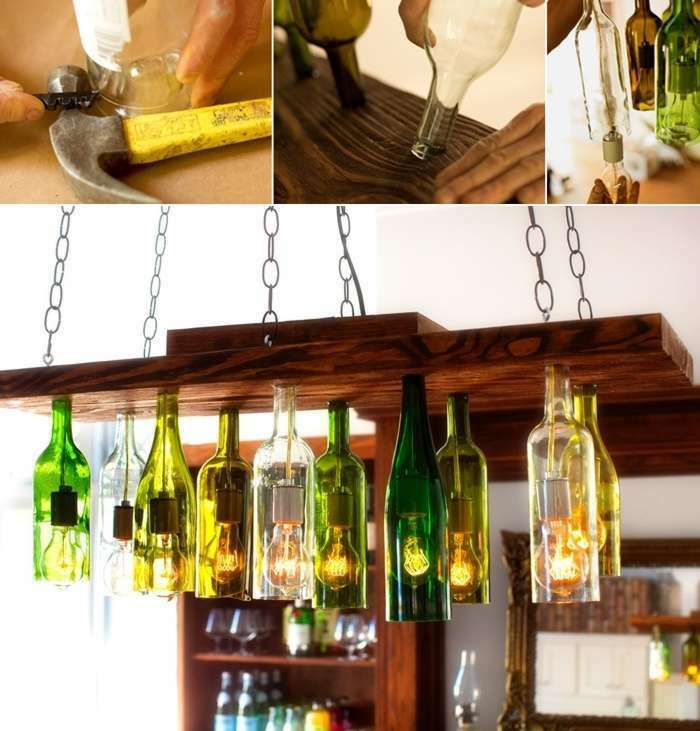 Two thumbs up Miki! 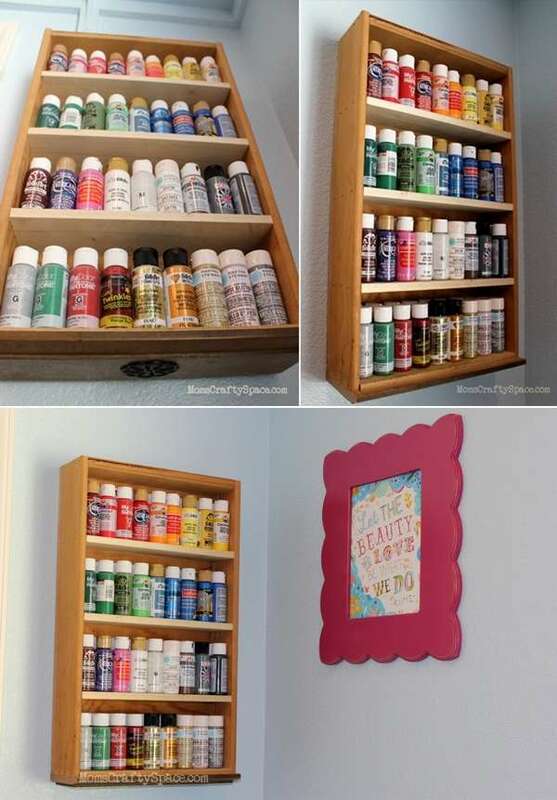 Heidi at Happiness is Homemade needed an ultimate solution for the storage of her craft paint supply and was lucky to have a few drawers brought by her husband who was working on some kitchen revamp. 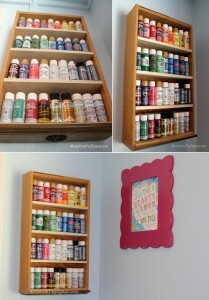 She turned one of those drawers into this wonderful shelf for her paints. 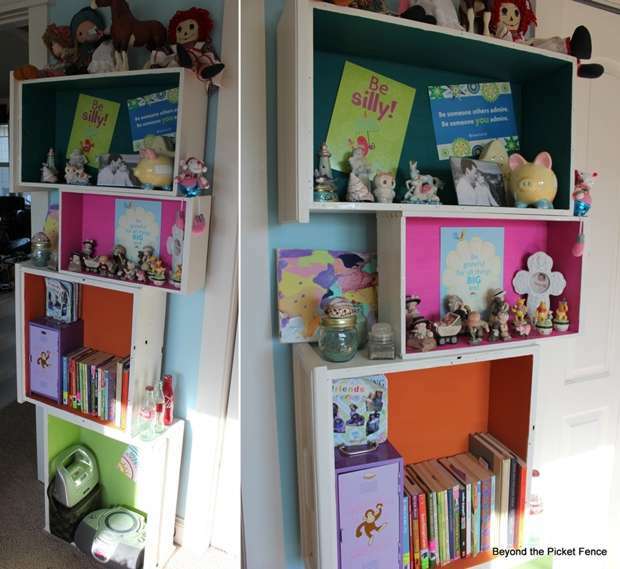 Stacey from Addison Meadows Lane made this cute bookshelf from old drawers for her beloved nieces. 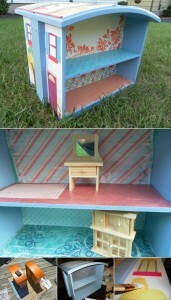 Roo Ciambriello via Semi Proper created a cute dollhouse from old drawers. 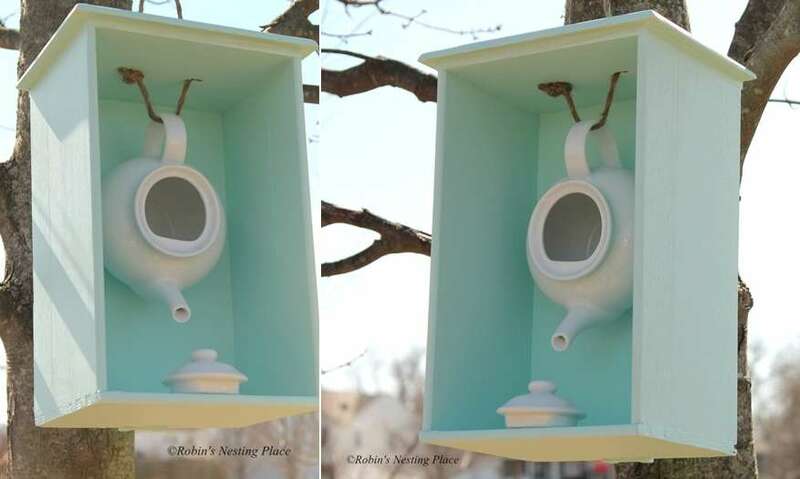 Robin’s Nesting Place will surely give you an itch to make a birdhouse for your garden after you view this whimsical teapot birdhouse in a drawer. 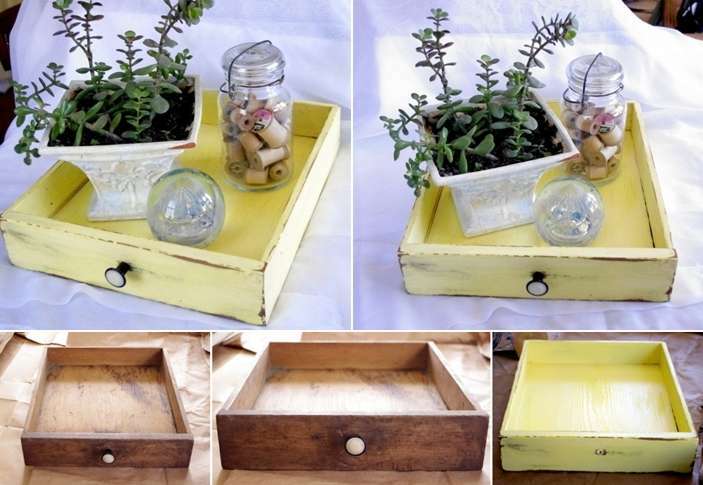 Shawna Dandois via Skurin rethinked a drawer into a tray in which she displayed a cool collection.